Volume 5 number 1 and 2 invites (June and November 2019) submission of scientific papers from lecturers, researchers, and students. It reviews and publishes quantitative research and qualitative research about Islamic Management and Business. 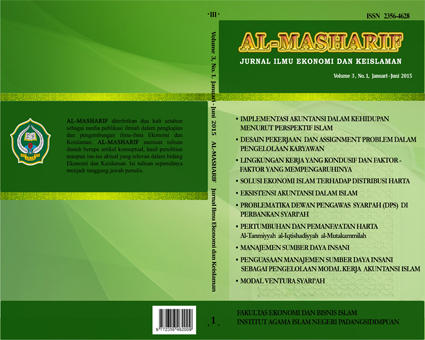 The publication and studies in journal At-Tijaroh: Jurnal Ilmu Manajemen and Bisnis Islam covering perspective in Islamic Management and Business literature, unpublished and not under review for possible publication in other journals. Papers or manuscripts can either be in 1) Indonesia, 2) English. Please read Author Guidelines (English) and (Indonesian Languange).